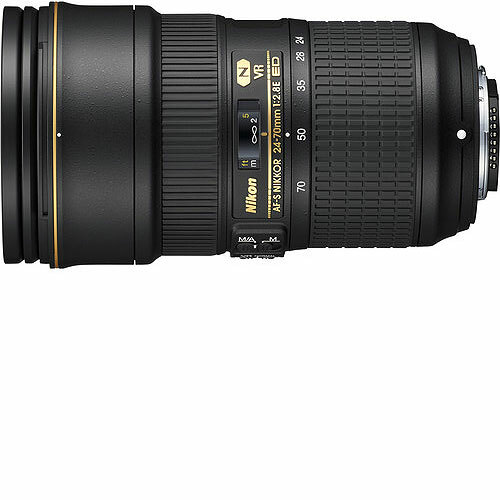 The classic standard zoom now featuring Vibration Reduction image stabilization, Nikon’s AF-S NIKKOR 24-70mm f/2.8E ED VR Lens is a truly versatile wide-angle to short telephoto lens characterized by its constant f/2.8 maximum aperture and electromagnetic aperture mechanism. A revised optical design incorporates a unique aspherical extra-low dispersion element, in addition to three aspherical, two extra-low dispersion, and one high refractive index elements, to help reduce chromatic aberrations and distortions throughout the zoom range in order to achieve high image sharpness and clarity. The Nano Crystal and Super Integrated Coatings further benefit image quality by reducing lens flare for improved contrast and color accuracy and fluorine coatings on the front and rear elements protect against dust, moisture, and smudging. Nikon AF-S NIKKOR 24-70mm f/2.8E ED VR is available for rent or hire from RENTaCAM Sydney.